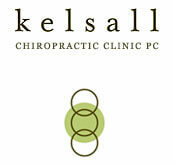 Portland chiropractic care is offered through Kelsall Chiropractic Clinic. Patients enter Kelsall Chiropractic through the doors of a historic Victorian on NW 23rd Avenue – one of the oldest on the street. Spring green walls and natural light flood the waiting area that beckons patients to leave the outside world behind. That’s just the start of a 45-minute session that begins with a heat or ice application followed by a deep tissue massage in preparation for their upcoming chiropractic treatment. Dr. Kelsall’s long-running Northwest Portland chiropractic practice serves Portlanders from ages five to 95. Her longevity as a practitioner is due to personal connections forged with her patients coupled with an integrative approach to health and wellness. Dr. Jolett Rod, her associate, offers a wholistic and personal approach to treating patients focusing on injury prevention, intentional healing, and rehabilitative exercise. Integrative care at the micro level means a wide range of services, techniques and resources at the ready to provide each patient what they need for their unique body. On the macro level, Dr. Kelsall and Dr. Jolett Rod help guide patients’ treatment protocol that might include referrals for physical therapy, orthopedic medicine, acupuncture, cold laser therapy, and massage therapy in some cases. Part of their effectiveness as practitioners is their commitment to knowing their patients. Patients are evaluated at each visit, and treated for what shows up for them on that day. Adjustments are effective but gentle and combined with therapeutic exercises to facilitate ease of movement. Dr. Kelsall and Dr. Rod make ergonomic recommendations as well as offer suggestions on how to craft an exercise routine that supports the core and supports a patient’s unique frame. Maintain Your Health, Stay a Step Ahead. Health maintenance is Dr. Kelsall and Dr. Rod’s medical mantra. A typical patient comes in with pain, yet dysfunction shows up before disease. Beating disease to the punch calls for a preventive approach through specialized Portland chiropractic care or related services. As we age and mature, it’s more vital to give back to our bodies. Dr. Kelsall and Dr. Rod liken spinal health maintenance to dental care. You get your teeth cleaned twice annually. It follows that the same attention should be paid to the spine. Good spinal health is the key to an active and robust life. The spine not only holds you up and helps you move through your day, it, along with the brain, houses the central nervous system. If the spine is functioning well, the nervous system follows suit. Balance in this area of the body leads to a modulated response to stress, less anxiety, more energy, better sleep and a healthier outlook on life. Kelsall Chiropractic is proud to offer the highest standard of chiropractic care for car accident injuries, sports injuries, back pain, and many other common ailments and conditions.